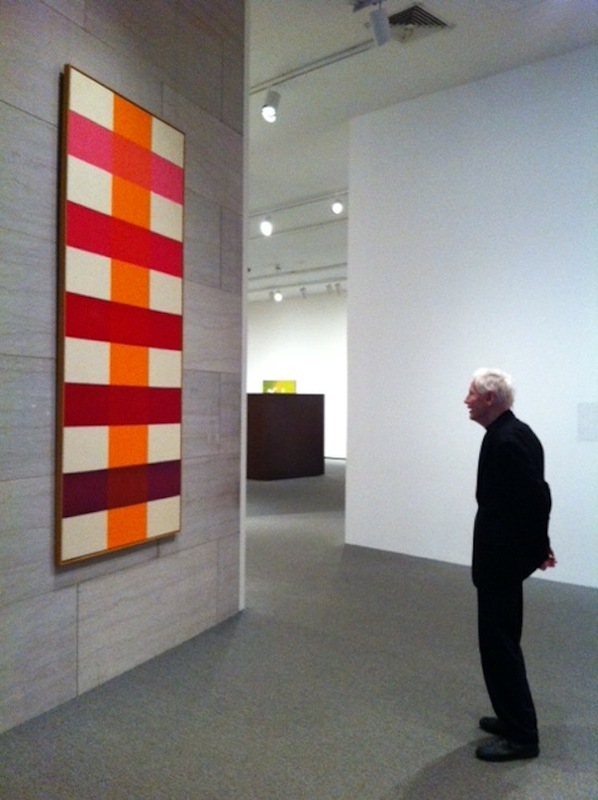 Paul Reed with his painting Coherence, 1966, at the National Gallery of Art in 2012. Photo Kerry Rose. WHEN I THINK OF the American artist Paul Reed, the image imprinted on my mind is the massive, dazzling #1D, 1965, in the collection of the Smithsonian American Art Museum in Washington, DC. It’s a visual feast: Triangles of optically jarring red-orange and fuchsia strain against the upper-right and lower-left quadrants of an intense, hot-pink field. A translucent olive-colored disc floats in the center, at once admitting and suppressing the color underneath. Reed’s work is celebrated for eliciting a sense of vibrancy from complex color combinations even when areas of thinned pigment overlap, demonstrating his mastery over the unpredictable acrylic medium. Reed, who passed away on September 26, was a renowned painter of the Washington Color School, a visual-arts renaissance occurring in an unlikely place around and just after the Kennedy White House years. Color School painters were especially known for soaking and staining raw canvas with thinned acrylic paint in ebullient shades, oftentimes shaped into restrained geometries. This dispassionate aesthetic defined “cool” in the 1960s. 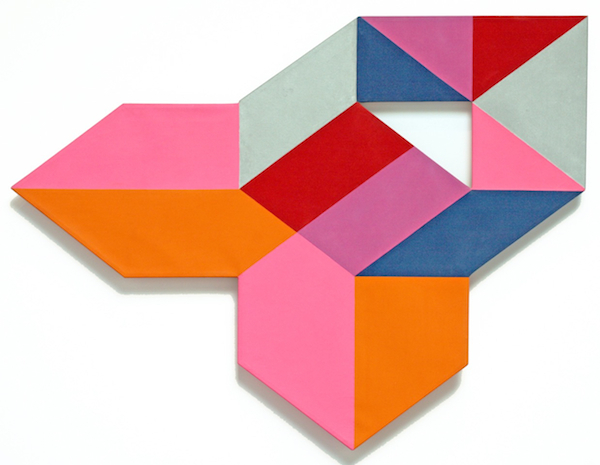 Paul Reed, #1D, 1965, acrylic on canvas, 68 x 94." Photo: Smithsonian American Art Museum. A superior draftsman, Reed worked as a graphic designer for various advertising and publications agencies in New York City from 1944 to ’50. Ready to strike out on his own as a freelancer, he moved back to his native Washington and found a city energized by new opportunities for artistic expression. The conversation in those years was all about paint, particularly the shift from traditional oils to new, fast-drying synthetics. Reed revived a childhood friendship with Gene Davis, an artist in the scene, and decided to pursue painting seriously. It would be over a decade of dedication to his studio practice before Reed showed his work in a solo show. He debuted at the Adams-Morgan Gallery in Washington in January 1963, with another show to follow that same year at the East Hampton Gallery in New York. In 1964, he had a one-man show at the Jefferson Place Gallery, a legendary art space that was responsible for introducing major figures in contemporary art to Washingtonians. Reed’s early work, like the aforementioned #1D, sustained the interplay between graphic elements and painterly ones and an innovative use of the “fragment,” which became one of his important motifs. These tensions between color and shape motivated Reed to employ zigzags and lattices in later works. By 1967, he was liberated from the rectangular format; bold, diagonal rays of color exploded against the edges of irregular quadrilaterals and other polygons. 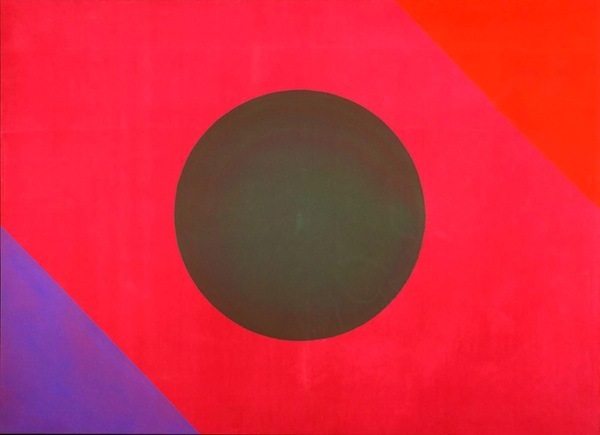 Paul Reed, Barcelona #4, 1965, acrylic on canvas, 60 x 72". Photo: David Richard Gallery, Santa Fe. Copyright © Paul Reed Estate. It should be noted that from 1962 to ’71, the same period in which his reputation as a painter was made, Reed also worked for the Peace Corps as the graphic designer in charge of publications. He stepped down to begin teaching painting full-time at the Corcoran School of Art. As a professor, Reed enchanted generations of students with his erudition and quick wit. Leaving his studio in 1972, Reed pursued work at a more intimate scale that he could execute at home, including works on paper and collage. This method was, in a sense, a return to the practice of “thumbnail” studies produced as far back as the ’50s: small preparatory pieces he used to work out formal interactions between color and shape. His more recent collages reveal a surprisingly Dadaist aesthetic, however, juxtaposing photography and bits of ephemera with elaborate, abstract graphics drawn in ink or pastel on paper. As recently as the ’90s, Reed worked with gouache on paper, returning to the colors and dynamic compositions more familiar to his iconic works of fifty years previous. He returned to painting on canvas in the late ’90s. The retrospective mood of art history in the last several years favored Reed, as he was the subject of numerous exhibitions, particularly in the DC area. That Washington is undergoing something of another renaissance is no secret; the city is fresh with progressive cultural ideas and new attractions. Perhaps Reed’s passing will inspire artists and intelligentsia in the District today to follow the spirit of experimentation that can come with such change, and to do so with his special tenacity. Miguel de Baca is an associate professor of art history at Lake Forest College and is the author of Memory Work: Anne Truitt and Sculpture (University of California Press, 2015).